As you might have noticed recently in American, Indian and world media, Mr. Rajan Zed, a Hindu chaplain from Reno, Nevada, USA, read the opening prayer from ancient Sanskrit scriptures in the United States Senate in Washington DC on July 12, thus creating history, because it was the first Hindu prayer ever delivered on the Senate floor since its formation in 1789. With his courage, his breadth of vision, and his graciousness, he rekindled Indian pride, inspired the youth how they should strive to uphold their ancient values while participating in the fast changing world, and restored a sense of belonging and self-esteem among Indians by presenting ancient Sanskrit teachings to a western audience. With his action, he brought Indian heritage to the forefront of the media, with coverage in The New York Times, Washington Post, The International Herald Tribune, Chicago Tribune, Philadelphia Enquirer, Reuters, AP, AFP, CNN, ABC, NBC, CBS, FOX, BBC, The Times of India, The Hindustan Times, The Economic Times, The Hindu, Deccan Herald, Punjab Kesri, Jagran, Bhaskar, Aajtak TV, IBN TV, Voice of America, India Abroad, India West, etc., and media of various other countries (including United Kingdom, Taiwan, etc.). Many of these newspapers carried the story on the front page. Besides Hindu religious media, media of other religions also gave him widespread coverage. There are reports of fireworks, hawans, and other religious events in India to celebrate the first Hindu prayer in the US Senate. Mr. Rajan Zed was recently given an Award of Excellence by Hindu Sangathan Committee of New York in recognition of “selfless and invaluable service.” Nevada Clergy Association, drawn from various religions, recently gave a reception in honor of Mr. Zed in Reno where he was garlanded and presented a certificate. City of Reno issued him a proclamation, declaring July 05, 2007 “as a day to recognize Rajan Zed” during the City Council meeting and presented him with a plaque, while Reno Police Chief, Michael Poehlman, gave him “Chief’s Certificate of Commendation” to recognize his good works in “promoting peace and tranquility for all, regardless of race or faith” and to commend him for continuing his work in promoting interfaith dialogue. Sri Siva Vishnu Temple of Lanham, Maryland, invited and honored Mr. Zed on July 12 evening after he delivered the historic first Hindu opening prayer in United States Senate in Washington DC. Unity Church of Today of Minden (Nevada) honored Mr. Zed during their Sunday service where the Minister, Larry Schneider, presented him a commendation certificate for the work Mr. Zed has done to bring various communities together. Prestigious Truckee Meadows Community College of Nevada recently honored him with a plaque. Unitarian Universalist Fellowship of Northern Nevada recently honored him for “his courage and his vision of world community,” where he was presented with a plaque, which described Mr. Zed as “A voice of religious tolerance in our community.” Various other organizations in the United States and India are planning to honor him. Mr. Zed recently addressed the congregation of Unitarian Universalist Church of Northern Nevada, Unity Church of Today of Minden (Nevada) and Annual Ramadan Dialog and Friendship Dinner of Sierra Foundation. He has been invited to address Annual Diocesan Conference of Catholic Diocese of Reno in January next. He has worked single-handedly for the preservation of Indian heritage in northern Nevada and adjoining California. He delivered for the first time Hindu prayer in Sanskrit in Nevada State Assembly and Nevada State Senate in March and May respectively since their formation in 1864. 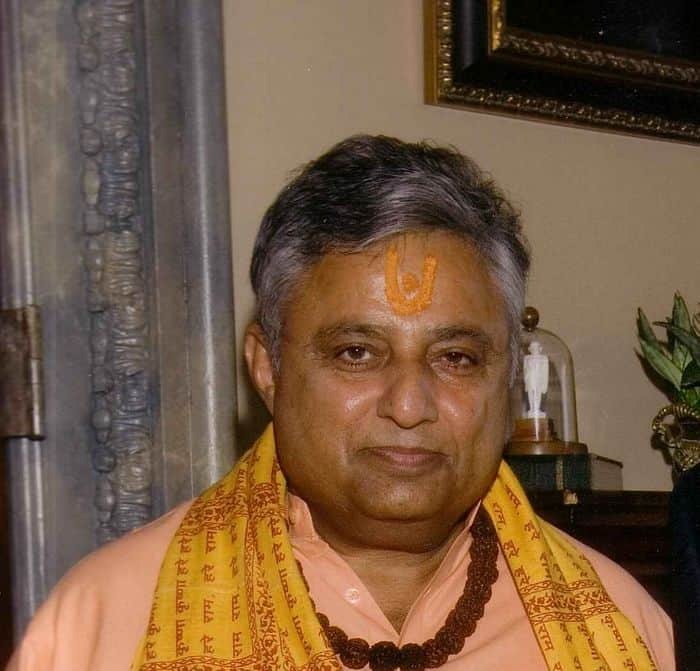 In August, he delivered Hindu prayer for the first time in the history of California State Senate. He is a visionary who is working to change the world we share together for the better. He is very active in the interfaith dialogue in the region and volunteers as a chaplain to serve the sick in various hospitals of northwestern Nevada and nearby California. He possesses an MBA (Master of Business Administration) from University of Nevada-Reno, USA; Master of Science in Mass Communications from San Jose State University, California, USA; and Bachelor of Journalism from Panjab University, India. He lives in Reno, Nevada, USA. Pravasi Bharatiya Samman Divas, which is very prestigious and highly respected, is also involved in preservation of cultures and peace. I think that it will be very befitting to award Mr. Rajan Zed with “Pravasi Bharatiya Samman Award” during the January 2008 Pravasi Bharatiya Samman Divas for the work he is doing to advance the cause of culture and peace.